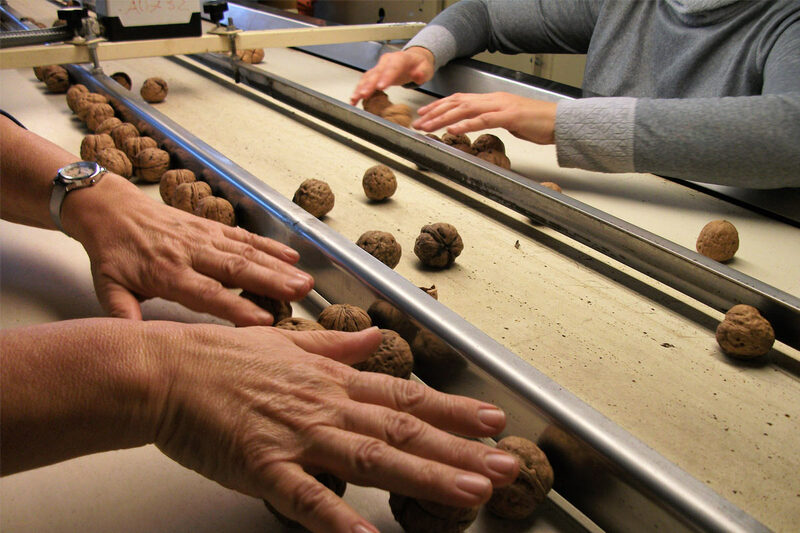 The walnut is a particularly delicate fruit, and being very rich in polyunsaturated fats, it can easily go rancid from the very beginning of harvesting, which has to be carried out right away, coordinated and processed at Nogalba’s production centre; that is why the harvesting carried out by companies adhering to the chain supply is entirely mechanized and done according to a precise calendar which makes sure that the walnut just been picked from the plant will be processed straight away. 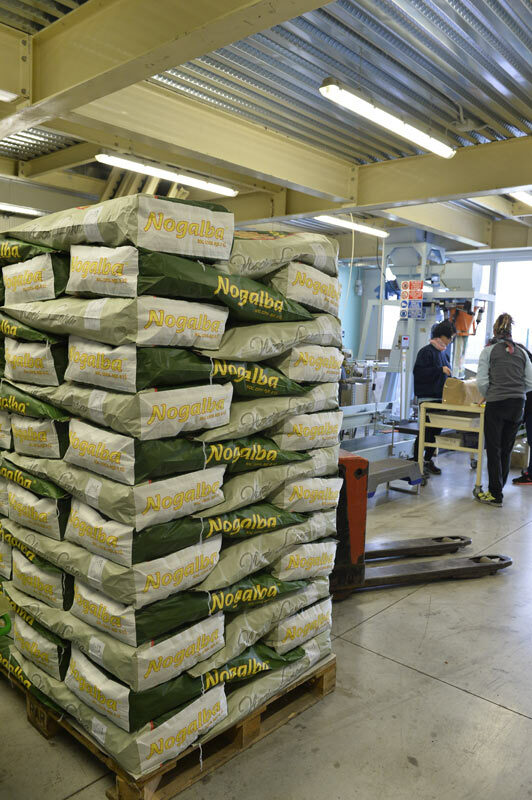 Upon their arrival at nogalba’s production centre, walnuts are given an identification number which will follow them throughout the whole production process, up to the sale. 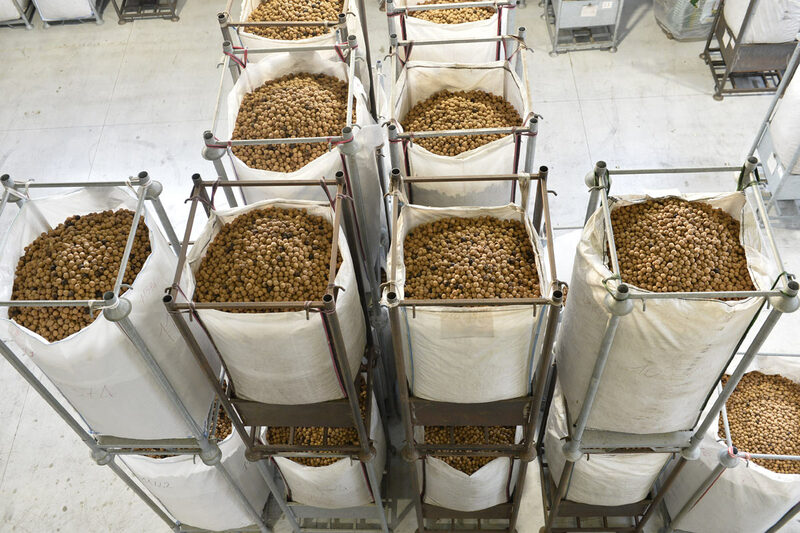 thanks to the identification number we are able to trace the story of each lot of walnuts, up to the plants which have produced it. 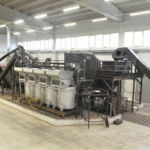 the production begins with a dry pre-cleaning to remove all those materials (leaves, earth, small branches, grass, stones etc.) 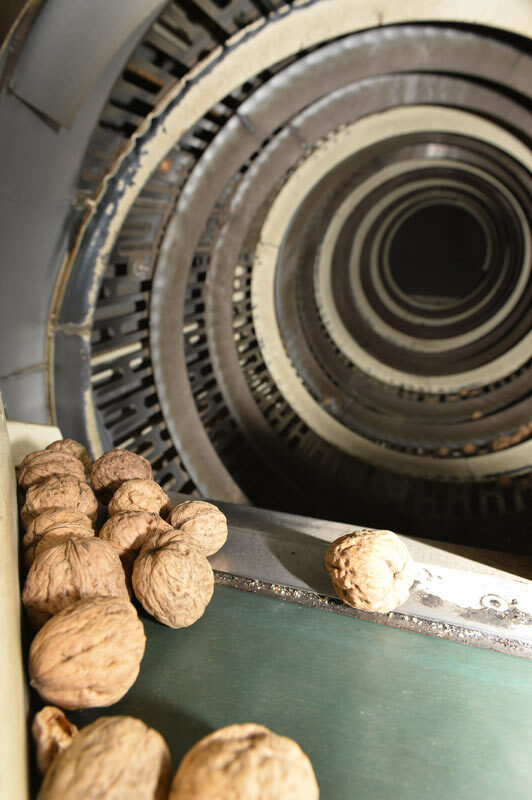 which are not walnuts. 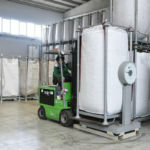 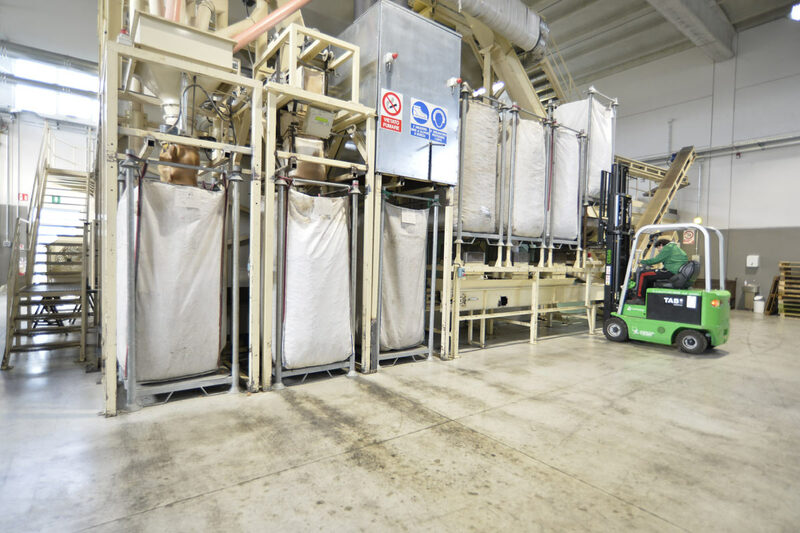 then there is the avulsion husk which consists in removing the remaining husk that might be still adhering to the shell, and then the washing using water alone, without any additional bleaching products in order maintain unaltered the naturalness of the product. 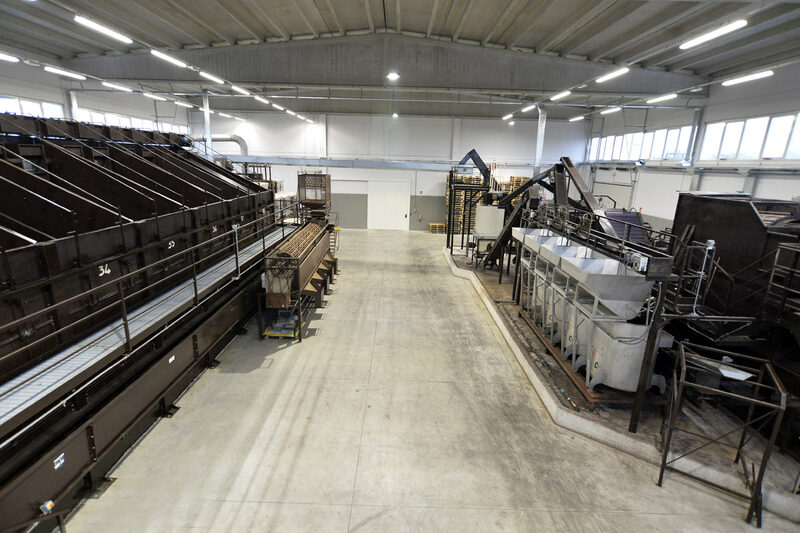 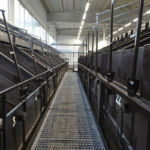 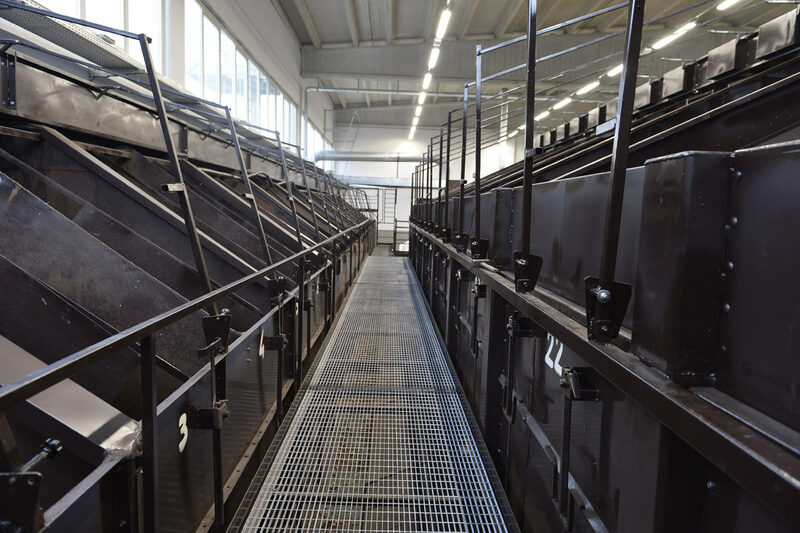 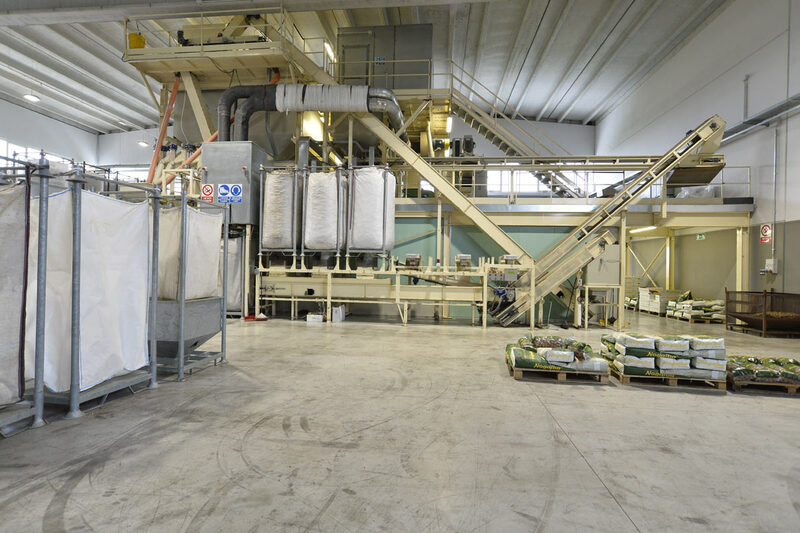 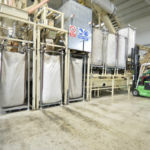 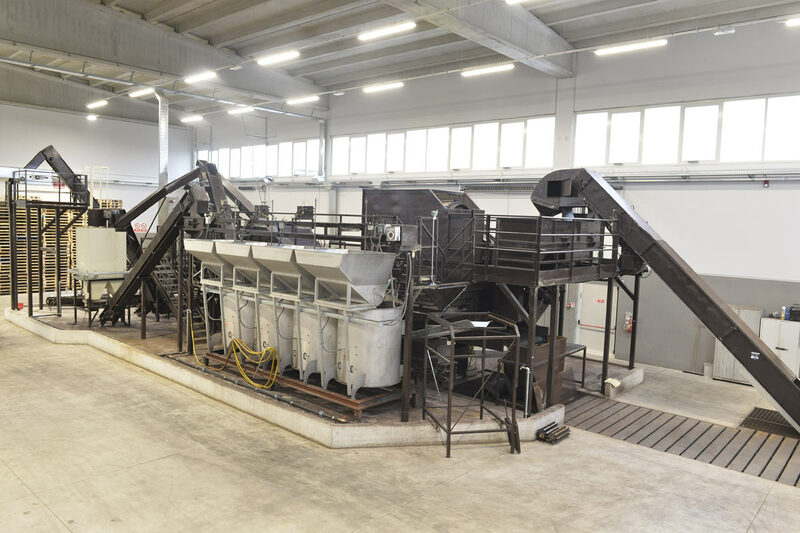 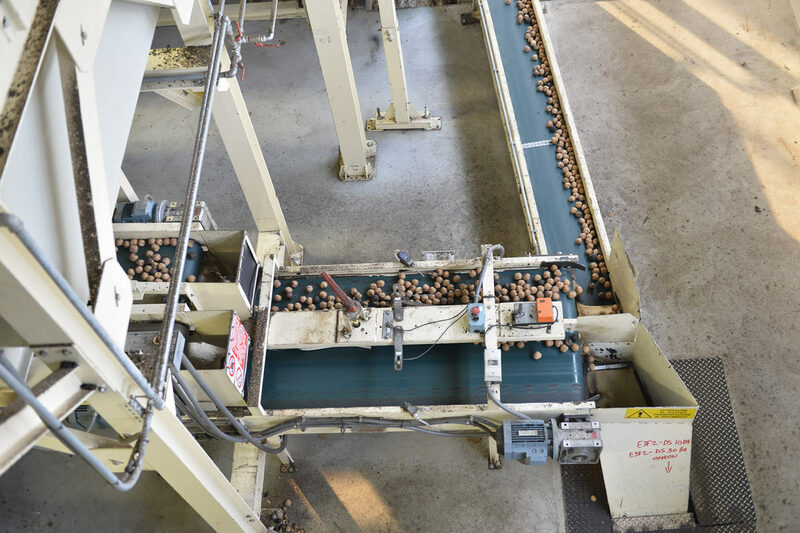 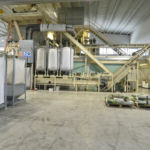 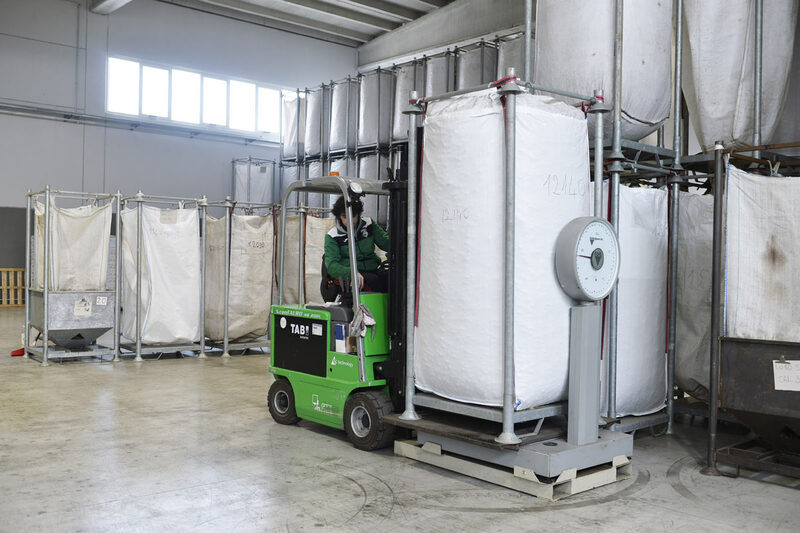 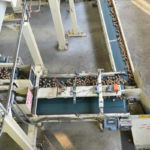 Shelled and washed walnuts, after having passing the exam of an electronic grader and a manual sorting, will then be addressed, prior to calibration, to the production of fresh walnuts or they will be transferred into the dryer to undergo the desiccation process. 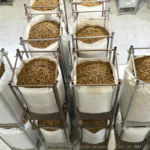 This is undoubtedly the most delicate stage of the postharvest production process, since it is the correct running of desicating that determines the quality of the walnuts which will get to the consumer. 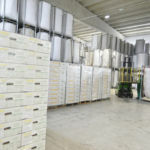 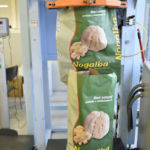 the technique developed by Nogalba guarantees a constant and precise equilibrium between air temperature, air flow and thickness of the stratum of walnuts in such a way that walnuts with an initial moisture of 35-45% may reach a final moisture of 9-10%, a level of moisture that allows its full preservability. 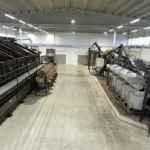 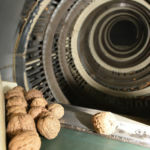 Dried walnuts, just as they have come out from the dryer, have very hetereogeneous sizes, they are therefore calibrated through a rotational calibre (metal cylinder suitably split); that means, they are subdivided by size in order to obtain a homogeneous product. 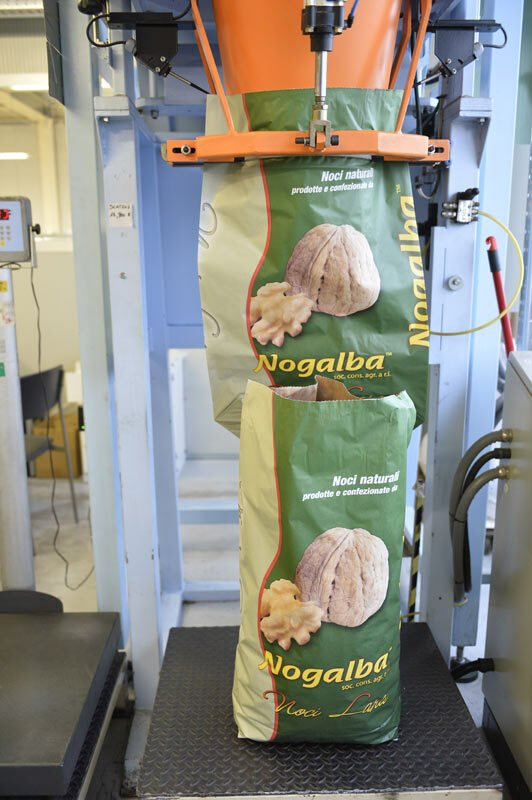 After calibrating them, a real selection takes place, with which Nogalba takes walnuts to the desired quality standard for its customers. 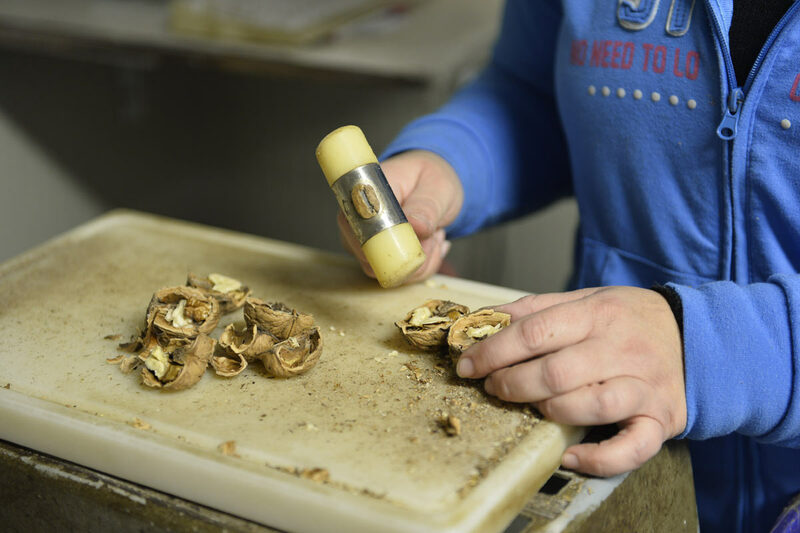 thanks to the selection, walnuts with blemishes caused by the presence of insects, rancidness, mould, wrinkling up (dry kernel) are identified and removed. 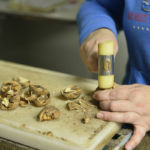 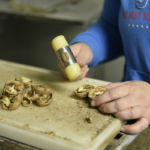 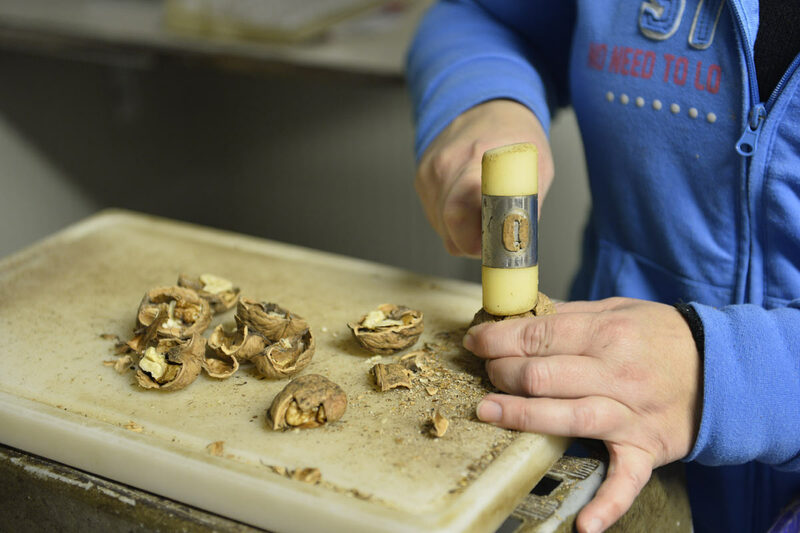 this stage is carried out mechanically exposing walnuts to ventilation to remove wrinkled walnuts, and subsequently manually, walnut by walnut, by skilled staff. 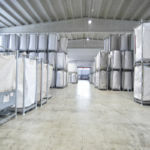 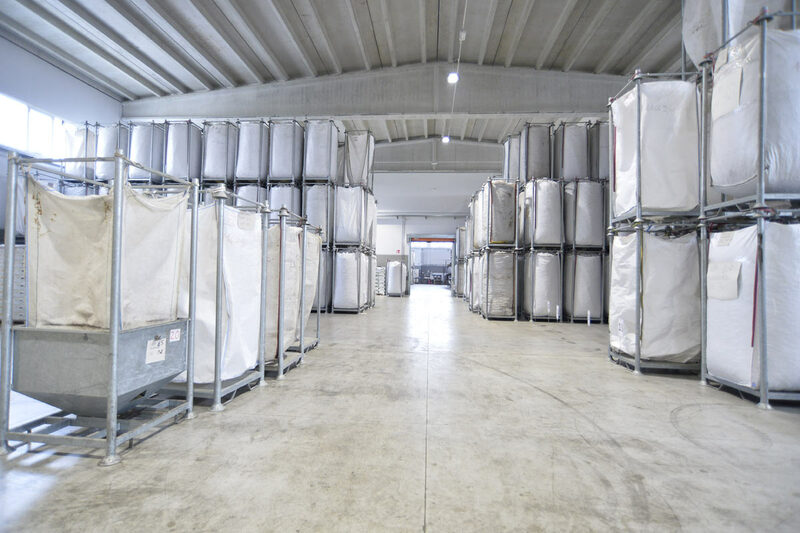 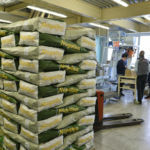 The outcome of the selection is monitored and controlled continously by the person in charge of the quality control with the aim of defining the declared commercial quality in relation to the tolerances provided by reg. 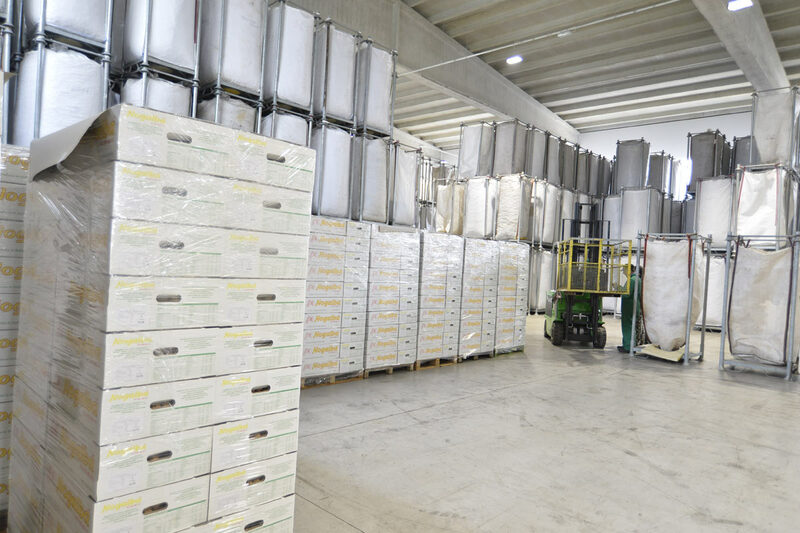 (ec) 175/2001 and subsequent adjournments. 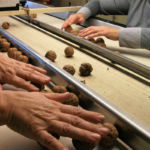 Once the selection is over, walnuts are then packed.